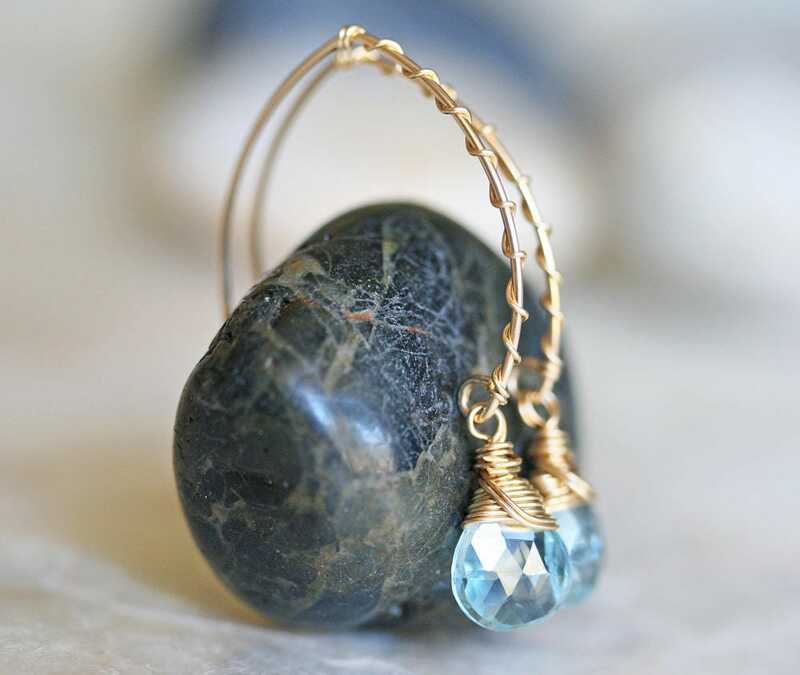 Sky Blue Topaz briolettes wrapped in 14k gold filled wire, dangling from handcrafted open hoop ear wire. 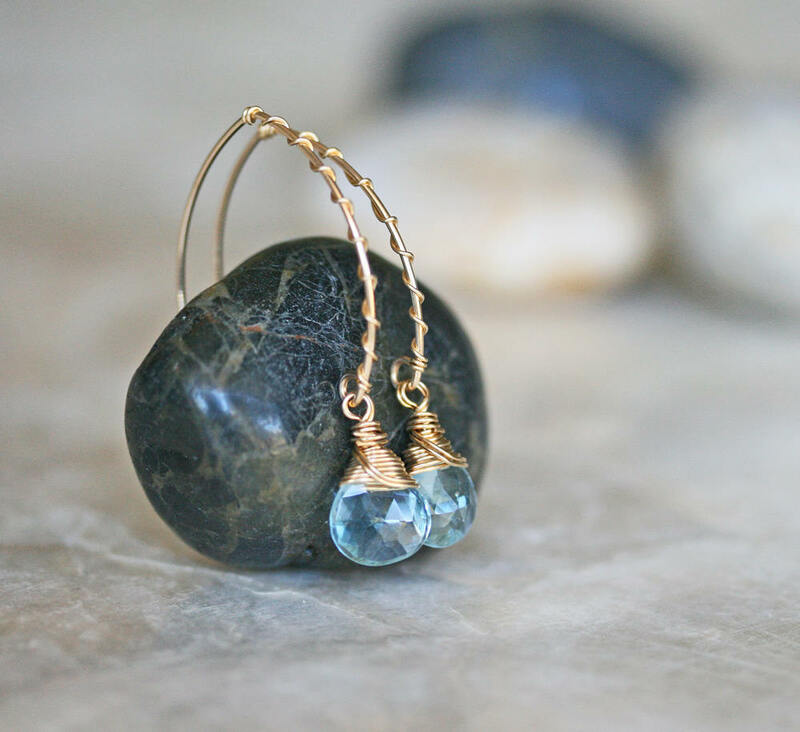 These earrings are light and delicate and add an understated beautiful sparkle to your day. Gold Filled contains 1/20th or 5% 14k gold (real gold). 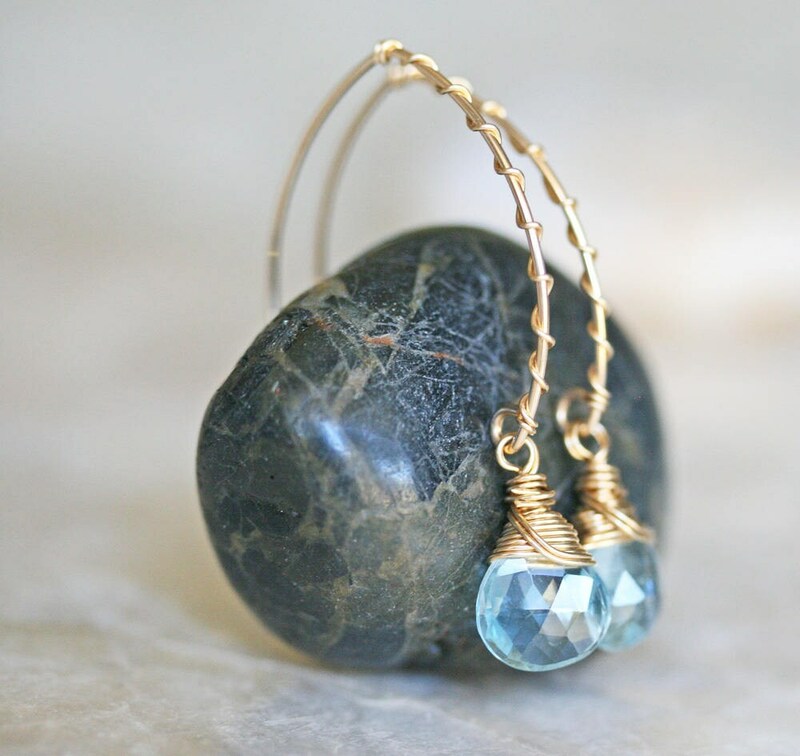 The gold is pressure bonded to a core, typically jewelers brass. Gold filled jewelry will wear and look just like 14k gold when treated properly, lasting many years. 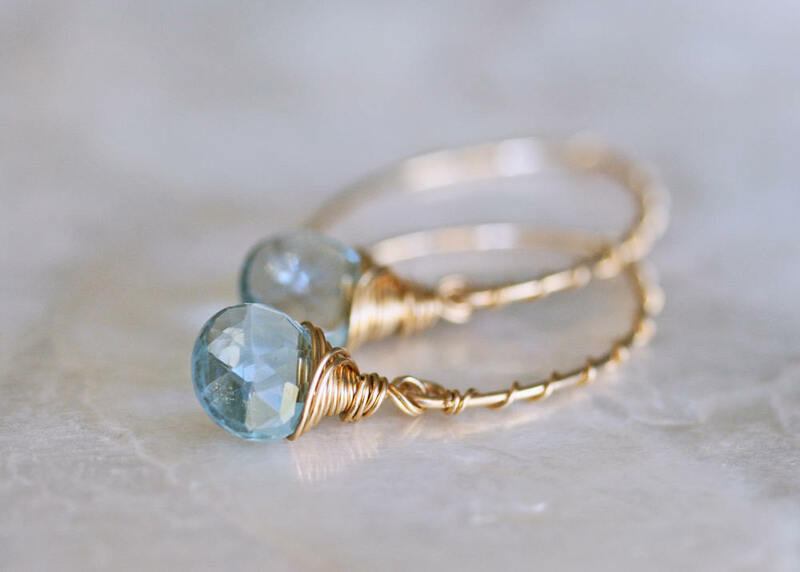 Plated jewelry has a much thinner layer of gold and is not durable. 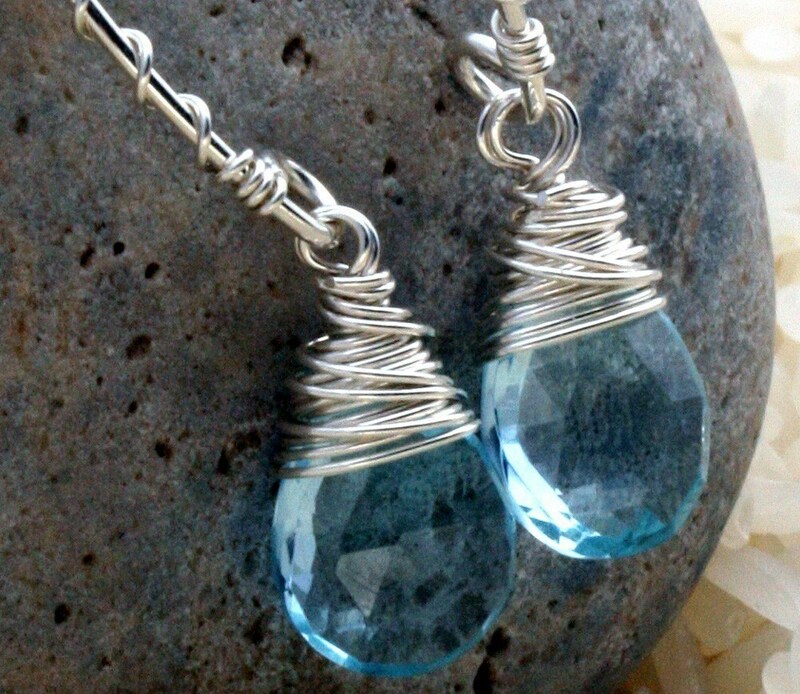 Sterling Silver is another highly durable, quality metal consisting of 92.5% silver. Both 14k gold filled and sterling silver are great for sensitive skin.